Were You Hit By The Google EMD Update Or Was It Panda? Home > Google News > Google SEO > How Do You Know If Google Panda Or EMD Hurt Your Site? How Do You Know If Google Panda Or EMD Hurt Your Site? As you know by now, Thursday/Friday of last week, we had two pretty important Google updates. We had an EMD update on Friday and a Panda update begin on Thursday and continue throughout this week. The question webmasters and SEOs are asking themselves, if they saw a drop in Google traffic, is... Was it the EMD update that hit me or the Panda update that hit me? Clearly, if you have a keyword-less domain, for example, rustybrick.com, and if you were hit (was not), then you know it was Panda and not EMD. But what if you are searchengineland.com and you were hit (was not), how do you know if it was EMD or Panda? Now, EMD was specific to happen on Friday or so at some time. Although, I think it was rolled out late Thursday as well - but I cannot prove that. The Panda update started on Thursday, according to Google, and is expected to continue to be pushed out until throughout this weekend. So more changes will be felt over the weekend, I suspect. How do you know if you have a keyword based domain and you see a decline in Google traffic, if it was EMD or Panda related? Maybe it is both? Maybe EMD is baked into Panda? 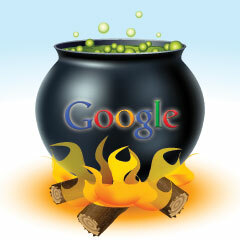 Google said it only goes after low-quality exact match domains (EMDs) not high-quality ones. But I doubt they are baked in. For me to run a poll to find out from SEOs if they were hit by the EMD update or the Panda #20 update, it wouldn't give me anything solid to report back on.